It’s November, which means Black Friday (and Cyber Monday) is just a few short weeks away. Come November 27, virtually every online retailer will be holding one of their biggest sales of the year, dropping prices to absurd levels in an effort to woo customers on the year’s biggest shopping day. That means now is the time to start thinking of what gifts you need to buy for the holidays, and what items you have been wanting if only there was a good deal to be had. 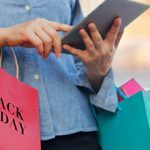 There is almost nothing you can’t get at a bargain price on Black Friday, but as the shopping extravaganza evolves, it pays to know what to look out for and what to expect. 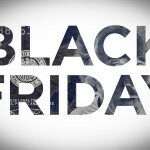 That’s why this post is all about what deals and trends are predicted to be in effect when Black Friday rolls around. Honestly, we’re playing it pretty safe in making this prediction. Since Black Friday first became synonymous with big sales, it has grown bigger and bigger, not only in space, but in time as well. It is not hard to imagine why this happens. 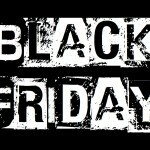 Every retailer wants to get a share of the Black Friday money being spent, and an easy way to do that is to throw your Black Friday sale before everybody else. 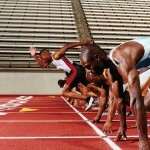 What this results in is a race to see who can be first. However, retailers must consider how able they are to sell their goods at Black Friday level prices and still have enough product and margin to make a big splash on Black Friday itself. Nevertheless, some retailers, like Newegg and Amazon have already kicked off their Black Friday festivities, and we predict that many major retailers will take the entire week to push their Black Friday wares on the masses. As has been the case in previous years, we expect online deals to be comparable in significance and volume to deals found in physical retail locations. What makes us so confident? Each year the amount of money spent online gets bigger, and retailers have consistently responded by making their wonderful deals available for the people in internet land. This is, of course, good news for ReShip members, but also for the public in general, as leisurely perusing websites from the comfort of home while drinking a nice cup of tea beats going out in the cold, waiting in line, and wading through sometimes violent crowds. It’s been two years since the current generation of video game consoles were introduced, which means it is now high-time for the two industry heavy-weights (Sony’s Playstation 4 and Microsoft’s Xbox One), to start aggressively try to beat one another on price. Sony already introduced a hefty price cut this year, and Microsoft is coming out swinging with multiple pre-bundled game+console packages. With a sizable game library having been released for both consoles thus far, we expect retailers to get in on the fun by offering even more bundled games and other freebies as incentives to buy from them over the competition. This year, all of the major personal electronics companies showed off hot new items, getting the techies and early adopters riled up. Apple, Microsoft, and Google have all unveiled major improvements in their new tablets, and phones, such as the Ipad Pro, the new Surface Book, and the Nexus 6P. You can read about these glorious machines here, here and here respectively. This means the older models are primed to be pushed out the door at unprecedented low prices. If you have been on the lookout for a new tablet, or smartphone, you will want to watch those Black Friday sales like a hawk. We hear a lot about massive discounts on TVs and electronics on Black Friday, but clothing discounts don’t seem to make the same sorts of headlines. This is a shame because clothing is one of the areas where Black Friday shoppers consistently see considerable discounts. We are expecting discounts of up to 80% off from major clothing retailers. This wouldn’t be a bad opportunity to refresh your fall wardrobe as retailers will be trying to clear out to make room for winter gear. We will be updating the blog with more Black Friday and Cyber Monday news in the lead up to the big weekend, so be sure to check back on the blog soon so you don’t miss any of the delicious savings.